The Dow Jones today opened little changed from Tuesday's close as markets weighed the impact of additional tariffs from the White House. According to reports, the United States will begin collecting a 25% tariff on another $16 billion in Chinese goods starting on Aug. 23. The Walt Disney Company (NYSE: DIS) was off nearly 1% after the entertainment giant fell short of profit expectations. The firm reported a sharp rise in programming costs to complement a big uptick in technology investment. The company reported earnings per share of $1.87, a figure that was $0.08 short of the Wall Street consensus. ESPN, the company's largest network, reported a big jump in programming costs – tied heavily to broadcasting rights – and a decline in subscribers. The company still reported a 20% jump in studio revenue year over year. Oil prices were falling Wednesday over concerns about Chinese demand. The downturn comes as markets monitor the impact of renewed U.S. sanctions on Iran. The Trump administration enacted the first batch of sanctions Tuesday morning; however, these sanctions did not immediately impact the nation's ability to export oil. 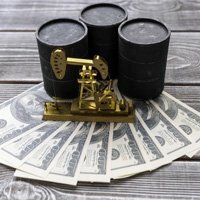 Should the sanctions affect crude supplies, it is possible that speculators could push prices higher due to supply concerns. Finally, let's take a look at the growing $10 billion legal cannabis market in North America. Not everyone needs to grow a plant to make money. There are hundreds of companies making money without growing marijuana. From what inside sources told Money Morning editor Jack Delaney, luxury cannabis products are going to be the next big thing. Let's show you how to tap into this niche trend in the years ahead, right here. CVS Health Corp. (NYSE: CVS) leads a busy day of earnings reports. The firm's stock added 1.3% after CVS reported an adjusted EPS of $1.69 and $46.7 billion in revenue. Wall Street expected the firm would report an EPS of $1.61 on top of $46.45 billion. The company announced it is taking on Amazon.com (Nasdaq: AMZN) with a strategic partnership with Teladoc Health. The companies will introduce Virtual MinuteClinics across the entire country this year. 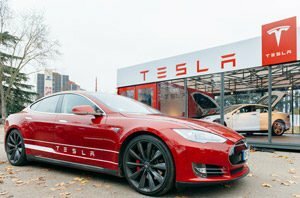 Shares of Tesla Inc. (Nasdaq: TSLA) are in focus after the stock popped nearly 11% on Tuesday. The stock rallied to nearly $380 after CEO Elon Musk tweeted yesterday morning that he had financing in place to take Tesla private for $420.00 per share. Musk may face regulatory scrutiny after making this announcement on Twitter without filing an 8-K with the SEC. Shares of Snap Inc. (NYSE: SNAP) rallied nearly 10% after the social media firm reported earnings Tuesday afternoon. The owner of Snapchat beat earnings expectations by reporting a quarterly loss of $0.14 per share. Wall Street had expected a loss of $0.17 per share. Revenue also topped expectations. However, the firm did report that daily active users came in at 188 million. That was four million users short of expectations and represents the first time the social media firm had a net loss in users. In addition, Saudi Prince Alwaleed bin Talal announced a 2.3% stake in the company.